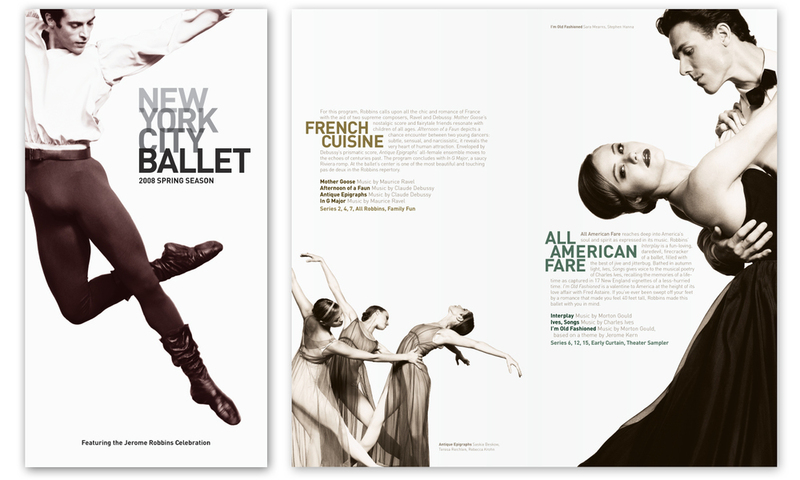 The complete rebranding of the New York City Ballet. The identity was created by Pentagram Partner Paula Scher. Dramatic crops of studio portraits by Nick Heavican and modern typography combine to create a 'black and white' system. Pantone blacks were used to create a rich and sophisticated family of duotone images. The result is a subtle wink to the company's heritage and Balanchine's Black and White ballets.